Matilda was a highly unique ‘storytellers’ chair with ideal proportions for a children’s bedroom. 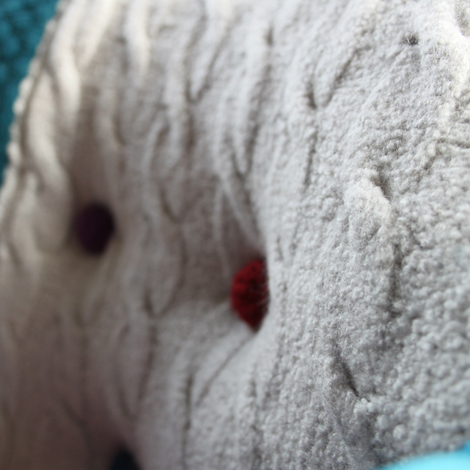 Covered in felted patchwork upholstered back, with deep-set crocheted buttons and a bold felted knit feather seat-pad. The frame was been painted in high-gloss paint.